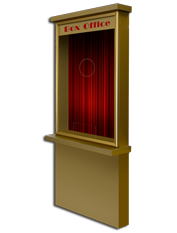 Just like a movie theater box office, these decorative ticket booths look like the real thing. 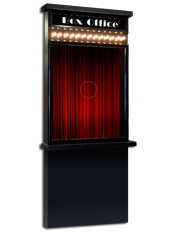 Add the optional background curtain image and you are ready to sell tickets to the next show. Two styles are available for wall mounting, or with base modules.